We have gone to great lengths to help our clients – by creating this free child support calculator for Florida cases. This Florida Child Support Calculator is accurate, and conforms to the latest law on child support. To use this calculator properly you must enter accurate incomes for both parents – after payroll taxes. That means you must use the proper “take-home” pay of each parent. This Florida child support calculator is primarily based on the income of the parents. Significant others, and new spouses are not normally included in the definition of income. The income you use for the Florida child support calculator includes pretty much everything, but a comprehensive list is offered by the Florida statutes. A common question by many people is whether a later-spouse’s income can be used as part of the calculation. A spouse’s income normally can not be used as part of a calculation. But everyone should be aware that judge’s have tremendous flexibility. There have been instances where a spousal income becomes a factor. contracts. “Business income” means gross receipts minus ordinary and necessary expenses required to produce income. Normal household expenses, normal medical expenses, and just about every type of personal expense is not relevant in calculating child support. Choosing the best Florida child support attorney can be difficult. Many times child custody cases and child support cases involve deep emotional distress. That is why choosing the best attorney that is right for you is very important. Child custody and support laws are always changing and they vary from state to state. If you are curious about child support, start with our free Florida child support calculator. Choosing an attorney who is intimately familiar with your state and federal laws regarding child support is key. At Ayo and Iken, we have a team of attorneys that work with child support calculations and laws every day. First, get all your paperwork in order. Any court documents or information pertaining to child support claims should be available so to when you speak to potential lawyers, you can have the paperwork ready for consultations and attorney information review. The Law Firm of Ayo and Iken can assist you with this process. Narrow down your search. Call potential attorneys and find out their expertise, experience, and knowledge about child support litigation. Once you have decided on a few candidates, make an appointment for a consultation. Some child support attorneys charge for a consultation. At Ayo and Iken we feel it is important to meet face to face before you decide this important issue. 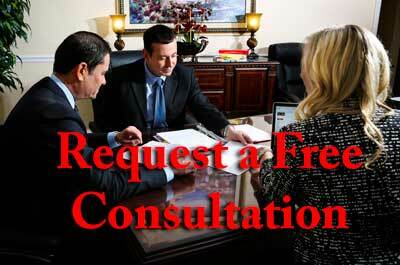 Our consultations are always free with every member of our experienced legal team. After deliberating on the potential candidates, select the attorney that is right for you. After using our Florida child support calculator, reading our extensive online information, and meeting with one of your dedicated attorneys, we hope you make the right choice and retain a team member of Ayo and Iken.